In this Malay name, the name Bolkiah is a patronymic, not a family name, and the person should be referred to by the given name, 'Abdul Mateen. The Arabic word "bin" ("b.") or "binti"/"binte" ("bt."/"bte. "), if used, means "son of" or "daughter of" respectively. 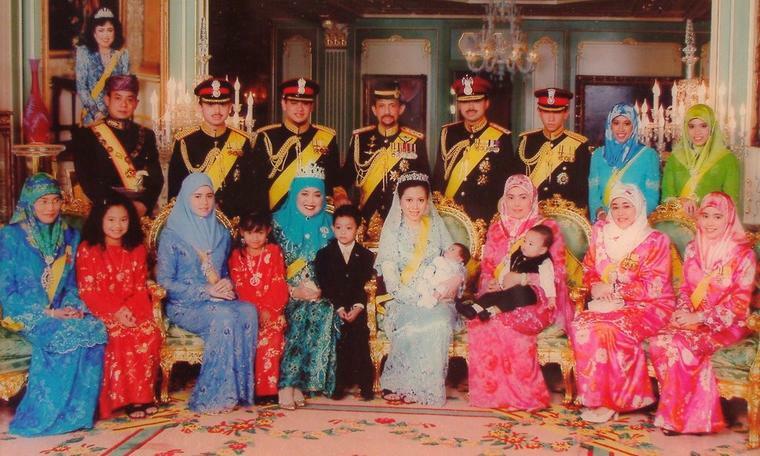 'Abdul Mateen (Malay: Duli Yang Teramat Mulia Paduka Seri Pengiran Muda Abdul Mateen; born 10 August 1991) is the tenth child and fourth son of Sultan Hassanal Bolkiah of Brunei by his former second wife, Puan Mariam binti Abdul Aziz. Prince 'Abdul Mateen received his primary education at the St. Andrew’s school. He continued his secondary education at the Paduka Seri Begawan Sultan Science College and Jerudong International School, both are the top schools in Brunei. In May 2010, Prince 'Abdul Mateen was admitted to the Commissioning Course for Regular Army Officers along with 200 recruits in Royal Military Academy Sandhurst. In April 2011, Prince 'Abdul Mateen graduated from the commissioning course as an officer cadet of Royal Military Academy Sandhurst, United Kingdom and promoted to the rank of Second Lieutenant. In July 2014, Prince 'Abdul Mateen was consented to attend and received the conferment of a Bachelor of Arts in International Politics from King's College London at the Barbican Centre in London. In July 2016, Prince 'Abdul Mateen was awarded a Master of Arts in International Studies and Diplomacy from The School of Oriental and African Studies, University of London. In March 2018, Prince 'Abdul Mateen was qualified as a helicopter pilot in Defence Helicopter Flying School at RAF Shawbury, in which his father HM Sultan and Yang di-Pertuan of Brunei awarded him a RAF Wing Badge. ^ "Prince Mateen cleared for takeoff". The Scoop. Retrieved 3 April 2018.